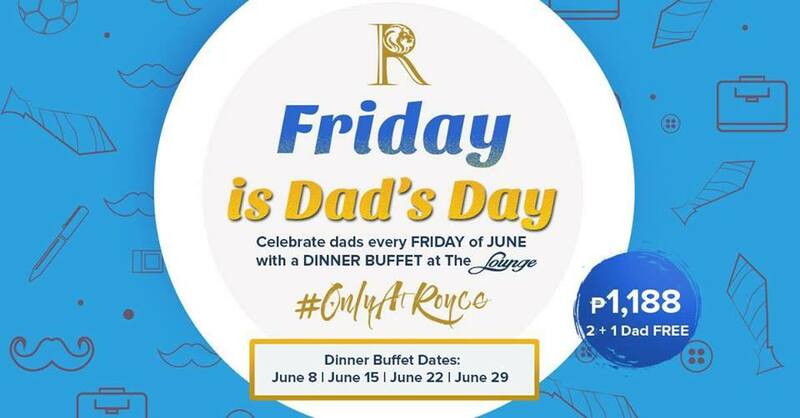 FRIDAYS are extra-special this month of June at Royce Hotel and Casino in Clark, Pampanga as they celebrate dads everywhere with a very special feast! Friday is DAD’s day #OnlyAtRoyce and The Lounge will serve a sumptuous dinner buffet for fathers and their families every Friday of June. The good news is that it will only take 1,188 Pesos to cover two paying guests – and Dad gets to eat for FREE! 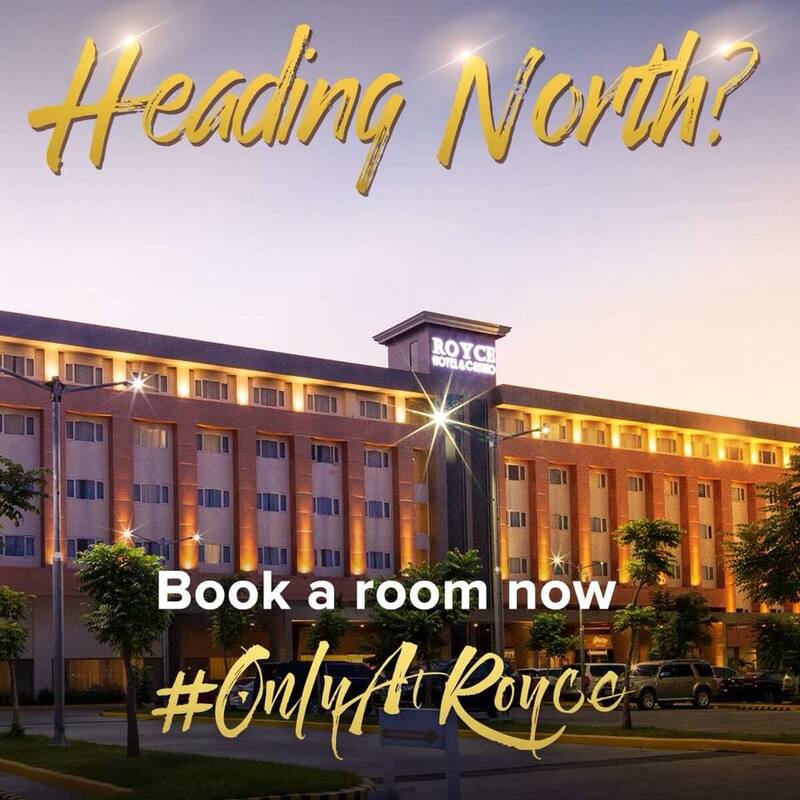 Located along Manuel Roxas Highway corner of Ninoy Aquino Avenue inside the Clark Freeport Zone in Mabalacat, Pampanga, this lively casino hotel will dazzle you with its gorgeous interiors, welcoming staff, restful rooms, and a free airport shuttle. Enjoy nights at Royce Hotel and Casino as it comes alive with dynamic entertainment and gaming thrills that dads will surely love! Set the night a-sizzle with conversation, drinks and dancing with Swing-Out Nights, happening Wednesdays and Fridays at the Empire Bar and Lounge. 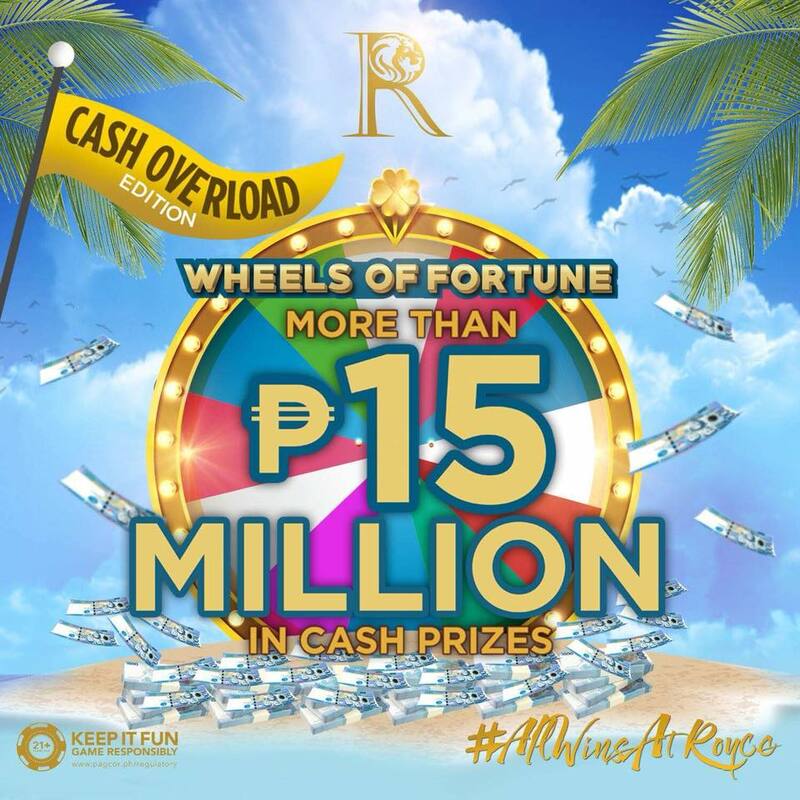 Get lucky and win big at the casino’s many games, and even get a chance to win over 15 Million Pesos in cash prizes during the monthly draws. At the end of a long day, kick back and sink into comfort and luxury with Royce’s welcoming rooms. Whether it’s a single room of a suite for the family, these rooms will feel like your home away from home. Call for room service, or a massage to ease the worries and stresses away. Family meals, company power lunches, or intimate dates are always winning moments with delectable dining choices at Royce Hotel and Casino. Choi Garden Clark offers you the best of Chinese cuisine and savory seafood, and Korea Snow Palace puts delicious Korean dishes right at your fingertips. Amare by Chef Cris is a feast of Italian fusion food sure to delight and amaze any foodie.